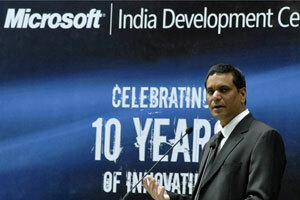 A dazzling new airport serving a sparkling information technology centre – Microsoft India is one of many corporations choosing Hyderabad, not just as a springboard into Indian markets, but because it represents a globally-significant concentration of ITES. 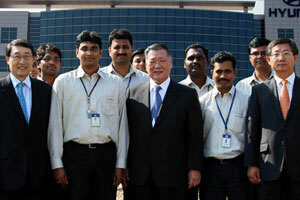 A “best fit” location: October 2009 - Hyundai Motor Co. Chairman & CEO Chung Mong-Koo visits the company’s new R&D Center in Hyderabad’s HITECH City. 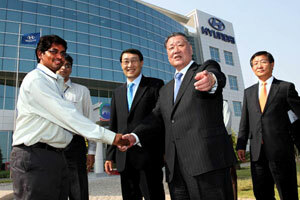 The new $25 million facility with further facilitate the development of India as Hyundai’s global hub for manufacturing and engineering of small cars. 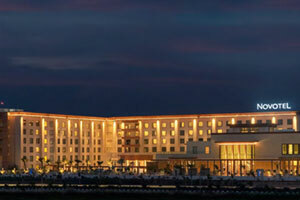 Superb brand new ancillary infrastructure includes the Novotel Hyderabad Airport and in-flight catering facilities by LSG Sky Chef and Sky Gourmet. 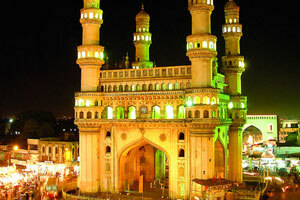 Hyderabad is ranked as the No. 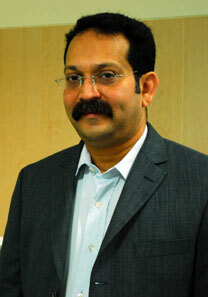 1 Indian Information Technology Enabled Services destination by NASSCOM, the premier trade body for IT services in India. 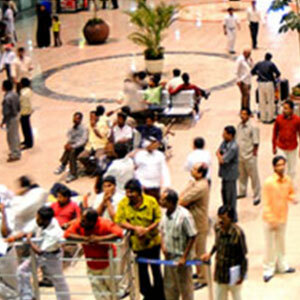 Andhra Pradesh (AP) accounts for about 23% of software professionals in India. Nearly 23% of the software professionals in the United States of America are from AP. 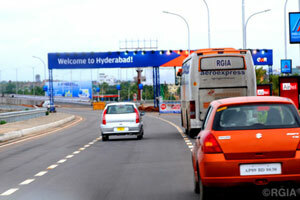 Andhra Pradesh is one of the biggest all-India markets for North American traffic. 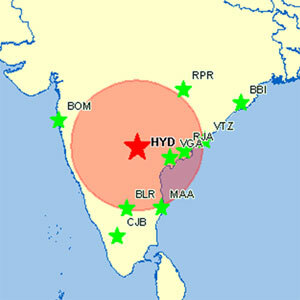 10% all-India traffic to North America is contributed by Hyderabad. Second largest store house of mineral resources in India. Second longest coastline of 970 km. Bulk drug capital and biotech hub of India. AP ranks 7th when it comes to foreign tourist visits in India and is the top domestic tourist destination in India with a dominating market share of 24.3%. 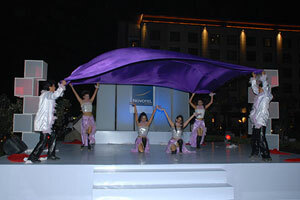 The Red carpet treatment for new airlines – a Marketing Fund is available for new carriers arriving in Hyderabad. 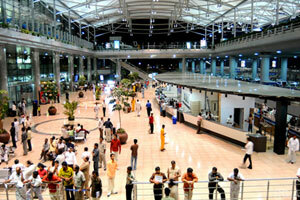 Rajiv Gandhi International Airport’s Airline Marketing team is the one point contact for the airport. It is is willing to support airlines which introduce new routes, to Hyderabad (nonstop service and medium and long haul routes) in the form of a Marketing Fund to start a new route. Commercially important people who need to travel: A staggering 23% of the software professionals in the USA originate from Andhra Pradesh. Hyderabad has a population of 7.3 million inhabitants and a catchment area extending to 75 million people living within two hours of the city. Hyderabad’s Cargo Terminal is operated by Hyderabad Menzies Air Cargo Private Ltd. Demand is fuelled by booming IT/ITES exports – such as Hyderabad’s AppLabs, the world’s largest sotfware testing and quality management company – and the auto component industry. The vision of the RGIA Cargo sector is to develop RGIA as the best cargo centre in India and Asia within two years by immensely contributing to the logistical development of India which in turn is generating huge economic value which needs to be harnessed. 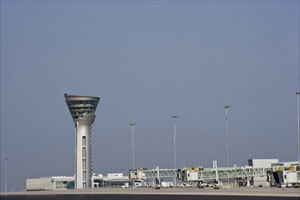 The Cargo Terminal at RGIA is operated by Hyderabad Menzies Air Cargo Private Ltd (HMACPL), a Joint Venture between GMR Hyderabad International Airport Ltd and Menzies Aviation Plc. Information Technology: Ranked fourth in terms of IT/ITES exports (after Karnataka, Maharashtra and Tamil Nadu). 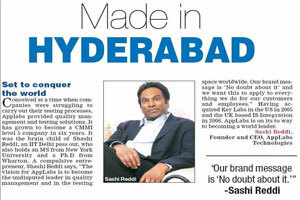 Pharmaceuticals: Hyderabad is the hub of pharmaceutical and bulk drugs industry. Horticulture: Second largest producer of horticulture produce with 1.24 million hectare area under cultivation. Automobiles and Auto Component Industry: Producer of Over half the cylinder liners and clutch plates in India. Mines and minerals : Second largest store house of mineral resources in India, a total of 48 minerals located. AP is second (8%) in terms of value of mineral production in India. Poultry: Largest egg producer in India, producing 35 million eggs a year. 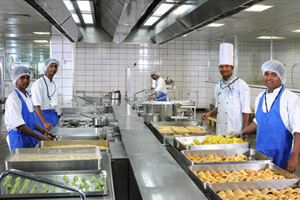 Marine food: The vast coastline is the major source of sea and fresh water food, including fish and prawn. AP contributes 34% of marine exports (by value) from India. Booming textile market Pochampally, a village in Andhra Pradesh is renowned worldwide for its beautiful weaves. 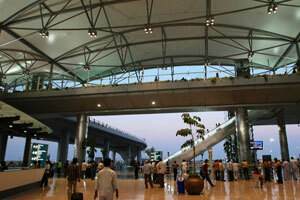 Completely brand new: Hyderabad is a joint venture between GMR Group, Malaysia Airports Holdings Berhad, the State Government of Andhra Pradesh and the Airports Authority of India. 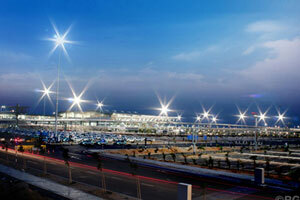 Utterly modern and with space to grow on both land and airside, Hyderabad is currently modelled to cater for 12 million passengers with ample modular expansion capacity. 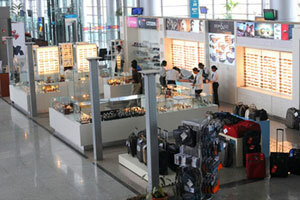 Rajiv Gandhi International Airport, Hyderabad, operated by GMR Hyderabad International Airport Ltd, is a public-private joint venture between GMR Group, Malaysia Airports Holdings Berhad, and both the State Government of Andhra Pradesh and Airports Authority of India (AAI). 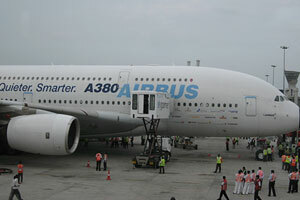 It began its operations on March 23, 2008. GMR Group holds 63% of the equity, MAHB 11%, while the Government of Andhra Pradesh and Airports Authority of India each hold 13%. Hyderabad is under two hours flying time from any city in India and under 5 hours flying time from SE Asian and Middle East countries. 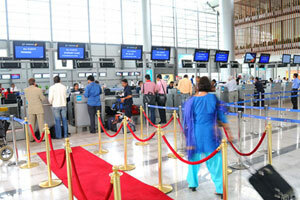 RGIA has the potential to not only become one of the main transit hubs in India, but also an important hub for origin and destination traffic between the East and West. Fully Code-F compliant airside facilities with the runway dimensions of 4,260 X 60m with 7.5 m shoulders either side. Total 10 runway entry/exit taxiways including four rapid exit taxiways (two for each runway 27/09). Both the runways 27 and 09 are equipped with ILS for Category-I conditions. Runway and taxiways equipped with Aeronautical Ground Lighting system including centreline lighting to suit all-weather surface guidance to aircraft. 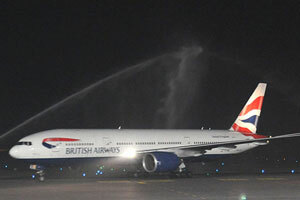 Uninterrupted all-weather operations due to the favourable geographical location of RGIA. Availability of an alternate runway in case of interruption of main runway operations. 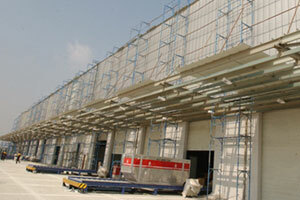 A spacious cargo satellite building for freight forwarders. Visual Docking Guidance System for parking guidance. Fixed Electrical Ground Power (90 KvA and 180 KvA). Inline refuelling system, fuel hydrants with a line pressure of 110 PSI and end delivery pressure of 45 PSI. 42 stands (12 contact and 30 remote) including two Code-F stands, one with upper deck docking capability. Peak Hour Passenger Capacity: 3,200. Min. connect time: 45 minutes. Nap and shower facilities for transfer passenger. Alternate airport (in unlikely case of diversions) in close proximity. 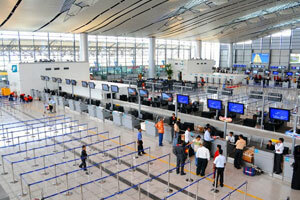 World class experience for the passengers. Manufacturing of components and sub-systems. Civil and military OEM R&D and engineering. 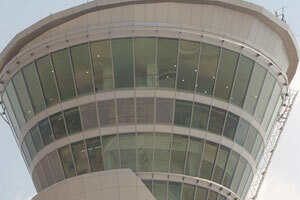 Aerospace-related activities (CFM training centre, aviation training). GMR Hyderabad International Airport and Malaysian Airlines Engineering have signed a 50:50 joint venture to establish a world class MRO facility in Hyderabad. GHIAL has also signed a MoA with CFM for setting up a new CFM56 Maintenance Training Centre to support all its customers in the South Asian region. Aviation Academy: A move to tie with top aviation institutes across the globe to create a centre of excellence for quality aviation-related education in India. 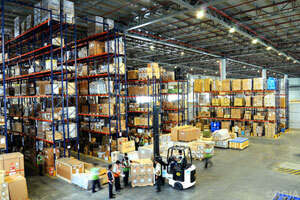 Cargo Logistics Hub: To leverage the location RGIA is working with logistics players to set up a cargo logistics hub. Aerotropolis: The town plan including hotels, corporate offices, IT parks, SEZ area, housing and other community facilities. 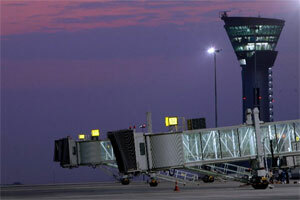 In the ultimate phase of current expansion RGIA intends to handle 40 million pax per annum and 1.3m tonnes of cargo.